For the veteran actor, Paul Obazele, reality shows such as Big Brother Naija should not be promoted. He expressed dissatisfaction with the reality show. He said that the reality show did not teach the youths anything other than corrupt their minds more towards s*x. Some people are thinking Hell is a joke. Sorry! He told Saturday Beats, “I don’t like Big Brother; why would I celebrate corruption? Do you want to tell me that to become a superstar, you have to be having s*x in toilets? What are they depicting? There are so many reality shows that they can do. It's called cultural dislocation, bringing in the white man’s culture into ours. S*x is nothing to them. The most decent woman I have seen in the years of my travelling is the Nigerian woman. S*x is nothing to other African women, this is the truth. Why would I bring in a group of young people between the ages of 18 and 26 and make s*x the topic of the day? What did we learn from the show? And today, some people are parading themselves as stars. It is nonsense. There are so many reality television shows they can do; they can send some people on internships but then they were able to cajole Nigerians who have small minds who think about s*x always and they started sending text messages to vote. At the end of the day, they were able to rake in more than N350m. 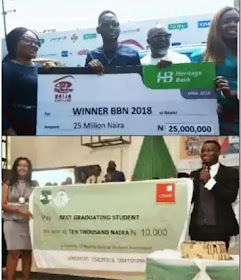 If the organisers of the show made that amount of money, how much is the N25m they are giving the winner, it is a stipend to them. We are gullible.